Christian Aid-Nigeria under one of its projects called Voice to the People (V2P) which is being executed in Kaduna State by Gender Awareness Trust (GAT) on Thursday facilitated another citizens and lawmakers face-to-face engagement on effective budget development and implementation in Chikun local government area of the state. Voice to the People (V2P) is a good governance project supporting communities in Kaduna state and the Southeast region of Nigeria to take ownership of their own development by driving accountability among their leaders, raising their voices to demand the rights and services to which they are entitled, and taking part in the decision-making processes that affect their lives. In a remark, Village Head of Kakau, Iliya Garba Zamai commended organizers of the event for the passion to educate and enlighten citizens on monitoring budgets, saying it is obvious that the people do not know their rights. According to the traditional ruler, he was contemplating on how to access the budget of his LGA, saying, most citizens only know the processes of budgeting theoretically as read from books. 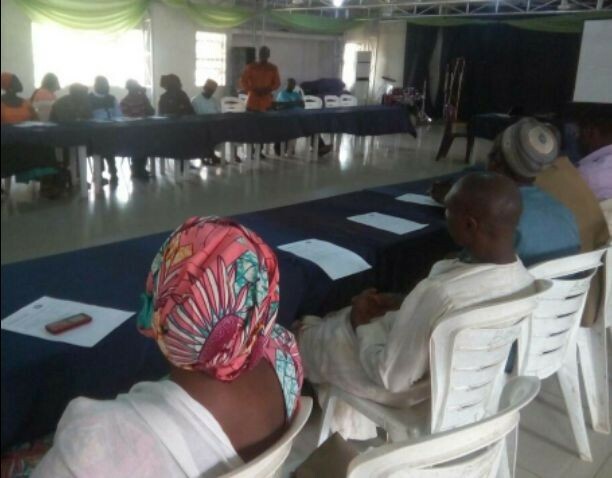 He expressed dismay that as community leaders who represent the interest of their subjects, they are not consulted by their representatives to know the most pressing needs of the community before budgeting. He said leaders do not consult the citizens because they have failed in their responsibilities, adding that it is because they have failed to do what they are supposed to do that was why the country is where it is today. “It is so alarming and annoying that resources that are tapped from the communities are being mismanaged in this country today. Because the citizens don’t know their rights, and since they don’t know, the leaders are doing what they like,” he said. Representative of Chikun Constituency in Kaduna State House of Assembly, (KDHA), Mark Yari, told his people during the meeting held at a hotel in Kaduna that, to ensure that projects allocated to communities are implemented and completed, citizens have to prioritise their needs and present same to their elective representatives. Yari, who stated this at the heat of the meeting with community members, MDAs, legislators and service providers on the 2017 Federal Appropriation budget for Chikun and Kaduna South Local Government Areas noted that, when the leaders know that their followers are better informed, they will perform better. Yari who spoke through Prince Gauji further said, apart from telling their representatives what they want, citizens should always follow up to ensure projects are implemented as captured in the budget adding that, in the case where citizens sit down and cry that their representatives are not doing anything, but waiting for the next elections was uncalled for. “Citizens must go beyond waiting for next elections, to more of monitoring, observing and complain where necessary so that their representatives know what they need. “For instance, citizens can not be in darkness looking for light and the representatives will come and provide them with water. Similarly, citizens can not be looking for water and the leaders bring them electricity,” he said. Earlier, Project Officer, V2P, Stephen John reiterated that, his organization was trying to ensure community members’ active participation in governance in terms of demands for service delivery from service providers and also engage in selected issues. According to him, V2P has Centre for Leadership Strategy and Development (Centre-LSD) as national partners who are responsible for engaging members of the Upper and Lower Chambers from Kaduna state. He added that presently, V2P is working in six LGAs in the state: Kaura, Jaba, Chikun, Kaduna South, Giwa and Soba.